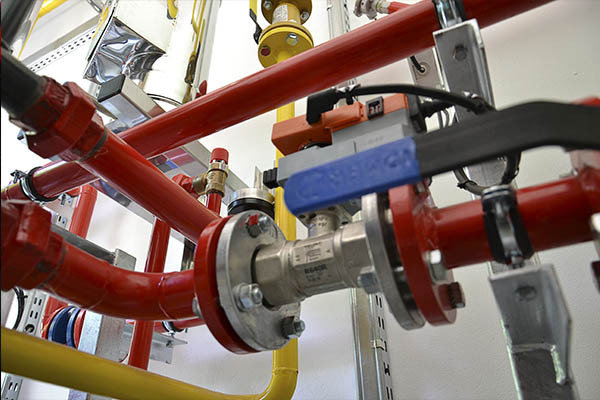 THERMOSMARTLINE™ is a modern, flexible gas heating system dedicated for gas stations. It is a complementary system combining hydraulics, boilers and control system. It may be implemented in all gas stations that require heating of gas before reduction of the pressure. Our policy is to maintain an individual approach to each Customer, therefore the system is each time adjusted to the needs of particular conditions of a gas station. THERMOSMARTLINE™ is a modern and and complementary gas heating system. Low operation costs and safety guaranteed by the application of THERMOSMARTLINE™ make it an effective solution for gas stations.